To learn more click on a subject or scroll down for the entire page. Starkey International is celebrating 36 years in serving the Private Service Industry and has become the expert in teaching the “Relationship of Service.” Starkey International teaches how to identify and meet the Service Standards expected of the principal. Starkey has developed and patented the Starkey Service Management System.We have turned service into a highly valued asset, where “service” is the product. We have learned that Service Professionals must be positioned to be successful. Starkey Private Staff Training is customized in content to serve individualized need. Introduces functional Service Management Terminology. Provides Eleven Unique Service Management Tools for Managing Service Expectations. Organizes and upholds these Service Standards and Expectations on a Daily Basis. Customizes an overall Service Management Plan. In 1997, Starkey registered a patent for the Starkey Service Management System. This system is an interactive communication model that is specifically designed to customize service delivery. No longer will service expectations be left to guessing and on crisis-mode. The Starkey System adapts to any Family or Service Environment and to all Service Expectations. Service Matrix for presenting the entire service management Plan. Starkey has learned that genuine service is obtained only when expectations are understood and met! To achieve this, Starkey comes to your home or service environment to customize service for you and your lifestyle. By participating in the on-site consultation and using Starkey’s Service Management System process, your Lifestyle Service Vision, Service Priorities and Standards will be articulated. 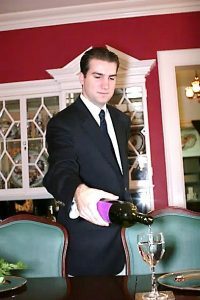 Each Family has a unique Service Lifestyle. It may be formal, corporate, family friendly, directed towards retirement and travel, or casual. Your priorities may include developing your entertainment style, providing an educational environment for your children, caring for overnight guests, or making large-scale renovations. Your Style of Service Staffing must also be unique to you and must be positioned to effectively support your Service Vision. Mrs. Starkey generally arrives in the late afternoon in time for an initial meeting to determine the principal’s Vision of Service. It is often positioned as part of a dinner conversation so that there is time for all to consider and articulate expected outcomes. This dinner meeting also takes place to identify service priorities and your overall Service Values and Goals. Zoning and Housekeeping Task Sheet requirements. 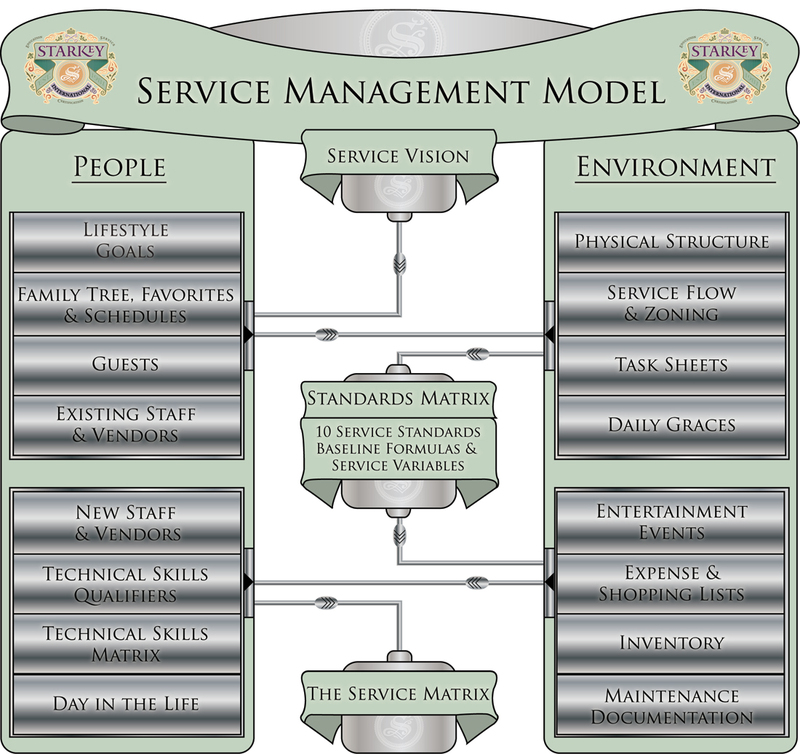 Staffing and Service Flow needs.